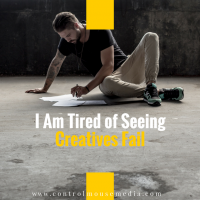 It drives me crazy – seeing creative people produce great work that goes nowhere. Writing memorable books, producing amazing music, and creating stunning visual art – only to have them ignored. Throughout my long career in publishing, I saw countless failures. Everyone could do their job – the author, the editor, marketing and sales – and the book could still fail. Today, there are no more excuses for this. Why? You can go directly to your fans now. But with all this opportunity and direct access, why do creatives still struggle? And, as I’ve mentioned in this space over the past few weeks, we created a complete online course to help creatives break free of their particular roadblock and build an audience using the principles of content marketing. Episode 99 is about why I wanted to created this course – listen to it here or in your favorite podcast player. 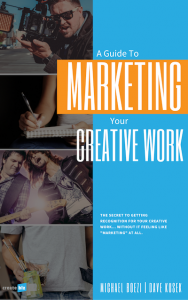 If you want a quick blueprint, we also produced a checklist of action items for you to get started with content marketing, called A Guide to Marketing Your Creative Work. Download it here: https://controlmousemedia.com/ebook. Please note: The short video that I referenced in this episode is no longer available. Published July 10, 2017 by Michael Boezi.